One new coloured coin taken from a Royal Australian Mint 5 coin sachet. Uncirculated and placed in an archival Saflip. 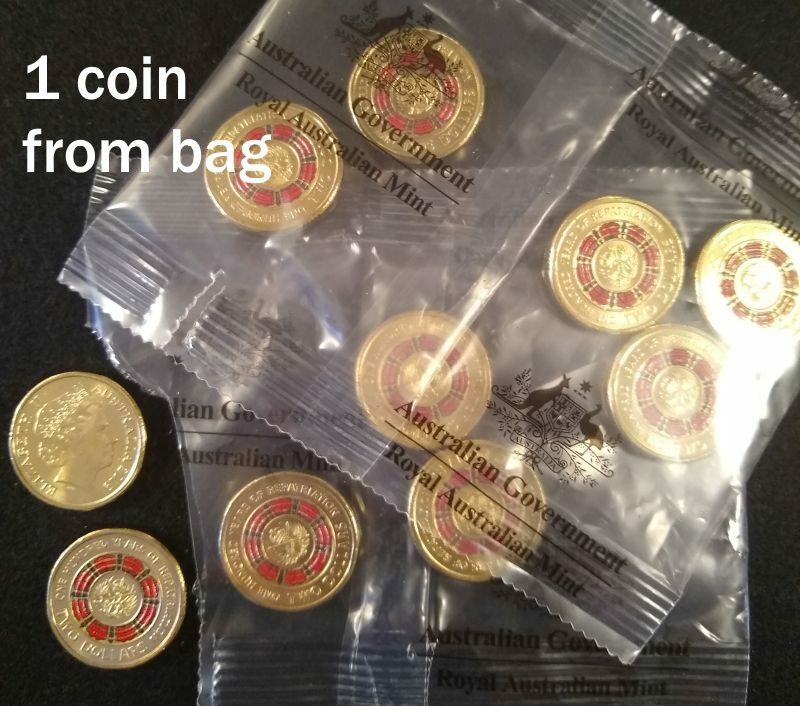 Image shows coin bags, listing is for a single coin face value $2.